Tellico is happy to announce their Kickstarter campaign was successfully funded and they will be heading into the studio at the turn of the year to record their debut album. 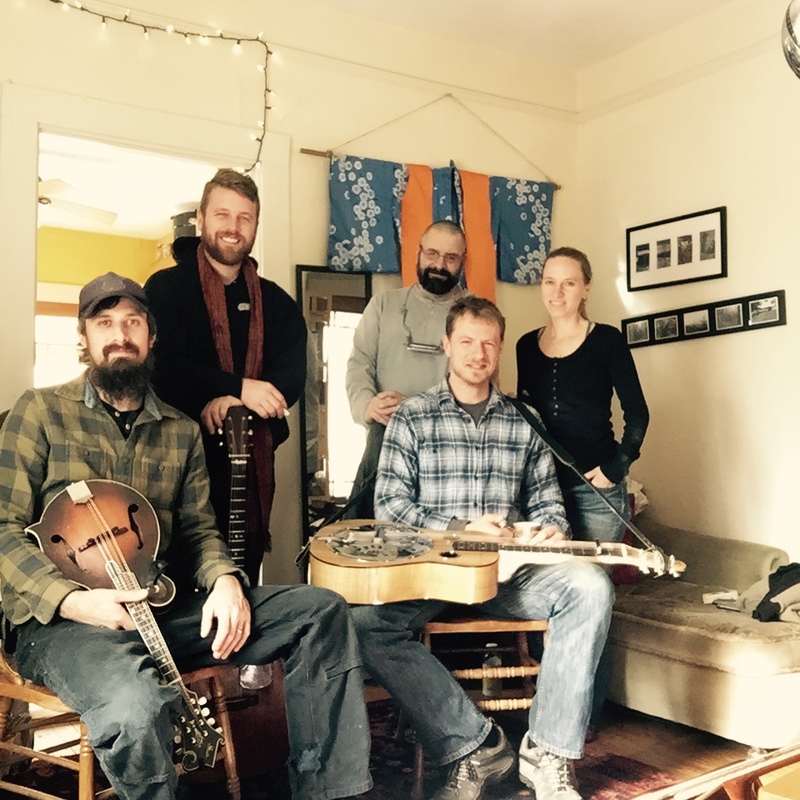 Based in Asheville NC with it’s thriving roots music scene, the quartet combines some of the finest voices, songs and instrumental prowess in western North Carolina and beyond. Tellico features the singing and songwriting of Anya Hinkle (guitar, fiddle, vocals) and Stig Stiglets (bass, vocals) with Aaron Ballance on dobro and Jed Willis on mandolin and clawhammer banjo. The band is wowed by all of the support: on top of their Kickstarter totals of $12,248 (surpassing the $7500 goal) they also received a grant from the Toe River Arts Council for $1000. Rehearsals are now in progress in advance of the recording dates. The album will be recorded at Sound Temple Studios in Asheville over the New Year holiday with Chris Rosser as the engineer. Tellico is proud to announce that fellow Ashevillian, Jon Stickley (Jon Stickley Trio), will produce the album and has been working with the band during their rehearsals. This is really special for the band on a lot of levels; Jon and Jed have known each other and played music together since they were 16! Also, Jon produced Dehlia Low’s album “Tellico” (the namesake album of this new outfit that has newly arisen since Dehlia Low). Jon has also performed with both in Dehlia Low and Tellico over the years. The band feels really good about an Asheville-based project from head to toe. The songs that will be on the album reflect the sights, sounds, and feelings of living in the beautiful Blue Ridge Mountains of Western North Carolina capturing the resonating and universal themes of love, disaster, cheatin’, loss, busking, dreams, and change. The blend of Anya and Stig’s committed, authentic vocals with Aaron’s flowing and soaring dobro and Jed’s textured and expressive mandolin bring to the songs their foundation, rooted in the mountain music they grew up with, but taken somewhere unique. “I love how the songs on the album sound with these musicians playing all things that I didn’t even realize I was longing to hear. Their playing overlays absolutely perfectly with the meanings of the songs, whether playful and amusing or searching, haunting and lonely,” says Anya Hinkle. Tellico looks forward to the new album and will be updating on the progress at tellicoband.com, facebook.com/tellico & twitter.com/TellicoBand. Floodwood is a progressive string band featuring the combined talents of Woodenspoon’s Jason Barady, Nick Piccininni, and Zachary Fleitz, plus moe.’s Al Schnier and Vinnie Amico. Hailing from the foothills of the Adirondack Mountains in Upstate, NY, members are veteran musicians who’ve performed on stages around the world over the last 20 years. They breathe fresh life into timeless acoustic music & play with the dexterity & chops of seasoned pros. Floodwood kicks off 2015 in Negril, Jamaica at moe.’s Tropical Throe.Down Festival January 9-13th. Late January bring the band to Johnny D’s in Somerville, MA, The Oneonta Theatre in New York and Saturday at Lake Placid, NY at Smoke Signals. This past year Floodwood had notable performances at IBMA’s Wide Open Bluegrass Street Festival, late night at Capitol Theatre after Phil and Friends, Summer Camp, a tour to the midwest on the way to Shoe Fest, a variety of shows in Colorado, Upstate New York, a tour to Florida to play Suwannee Springfest and a number of other shows all along the east coast. The band is also a mainstay at moe.down where they originated on Labor Day of 2011. 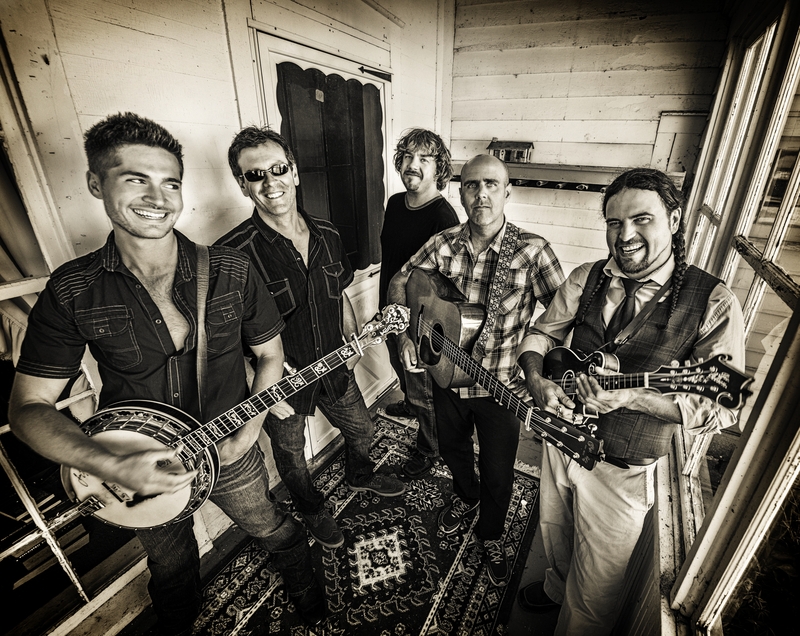 In January 2014, Floodwood released a live album This is Live as a follow up to 2013’s studio album, This is Life. “This is Life” was funded by a successful kickstarter campaign which raised nearly $20,000. There is talk of putting together a new studio album in 2015. Guitarist & vocalist Al Schnier and drummer Vinnie Amico not only play together in moe., one of the premier touring bands in the country who is celebrating their 25th year as a band in 2015, but they’ve also recorded & toured as the Americana group Al & The Transamericans for over a decade before starting Floodwood. Likewise, mandolinist Jason Barady spent over ten years recording & touring with the Bluegrass group Wooden Spoon from Taos, until returning to his hometown in central, NY. Nick Piccininni is a largely self taught violinist, who learned his bluegrass chops the old fashioned way – in festival picking circles & bluegrass festivals. He’s been a professional banjo player & fiddler in high demand on the bluegrass circuit since the age of 13, and has toured w/ The Abrams Brothers, The Atkinsons, The Delaneys, & more. Bass player Zachary Fleitz is a Berklee Graduate & Hypnotic Clambake alumnus. Zach joined forces w. Wooden Spoon & has played w. J & Nick for the last few years. Al, Nick, and Jason all take lead on vocals various tunes. According to Schnier, who spoke with SoundSpike, “the band has a batch of its own original material as well as breathing fresh life into timeless acoustic music from the Grateful Dead and Dave Grisman, to a variety of bluegrass newcomers and pioneers.” They also add in a few select unconventional covers such as a Death Cab for Cutie song called “I’ll Follow You Into the Dark” as well as covers for fans of newgrass and traditional bluegrass, these are mixed in with the bands originals which will leave you singing the words on your way home from the show. For more information and news from Floodwood, please visit www.floodwoodmusic.com, www.facebook.com/Floodwood, and www.twitter.com/floodwoodmusic. General Admission Seated Show :: Limited Tables Available with Dinner Reservations. For the past ten years in Asheville’s own Taylor Martin has been one of the area’s premier singer-songwriters. His raspy, emotion filled voice is instantly recognizable and his lyrics have an unflinching sincerity. Taylor has released a new record — Heartache or Bust — featuring Grammy winning artists Stuart Duncan and Cody Kilby as well as members of bluegrass supergroup, Mountain Heart. To recreate these recordings in a live setting as Taylor Martin’s Acoustic Band, Martin has assembled some of the finest instrumentalist in Western North Carolina. The Indomitable Lyndsay Pruett on fiddle, bluegrass ninja Drew Matulich on mandolin, and Rick Cooper (of The Honeycutters) on upright bass. They will be performing at Isis Music Hall in Asheville on Saturday, Jan 10, 2015 to celebrate the release of Heartache or Bust. Joining the band as special guest for the evening are also Josh Milligan (The Honeycutters) on drums, as well as other special guests. “Taylor’s songwriting and taste in good music definitely add strength to the reputation the Asheville area has for having one of the best music scenes in the country. Heartache Or Bust has got some great new songs on it” says WNCW’s Martin Anderson. “After 2009’s Engine, I wanted to put out an album which would contain material that had a chance to mature through live performances.” Taylor Martin goes on to say, “The songs were coming fast and I wanted the recording to happen with the same intensity. With the help of my co-producer and engineer Eric Willson (Omni Records), I was able to gather some of my favorite local and national musicians and lay down the initial tracks in Echo Mountain Studio while they were feeling new and very inspired.” Much of the album was recorded at Omni Artist Studios where the album was mastered and there is also one live track mixed in. There is one cover on the album “Once in a While” and was sung by Taylor’s grandfather Jack Baldwin. He recorded his vocals and piano in the late 1940s and Taylor decided to add some the instruments that would have been typically used in his day. 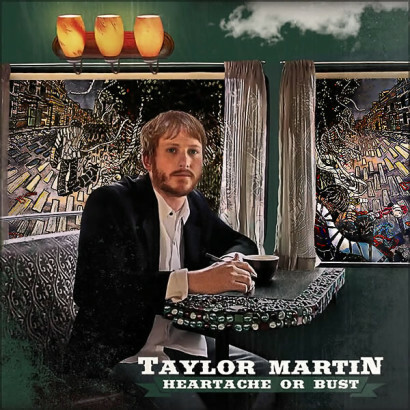 In the release of Heartache or Bust, Taylor Martin has created a wonderfully written, beautifully played, and well-recorded mix of fresh original music. All twelve tunes are played by some of the finest, most cutting edge musicians in acoustic music today — Stuart Duncan on fiddle, Cody Kilby (Ricky Skaggs) on acoustic and electric guitars, and Aaron Ramsey (Mountain Heart) on bass guitar, bouzouki, banjo, mandolin and dobro. The album also features tracks with Acoustic Syndicate’s Jay Sanders on bass; John Gardner on drums (James Taylor, Don Williams); Josh Shilling on B3 hammond, piano, and vocals; Drew Matulich on guitar; as well as wonderful vocalists, Molly Cherryholmes and Rorey Carroll amongst other musicians. Even with all that studio musician prowess, the recording avoids the common pitfalls of “music business slickness” and “corporately modified arrangements.” While the songs are simple, they’re not simplistic. Engaging melodies, lyrics, bass guitar lines, and sonic choices allow the songs to breathe and maintain their evident roots influences of folk-rock and newgrass, and are topped off with the sweet singer-songwriter delivery of Martin’s adept vocals. This record covers a wide range of emotions and tells a story throughout to give the listener something new to hear with each track. New Truth & Salvage Co. Single “Black Ribbon Highway” Available Now! “Black Ribbon Highway” is now available for purchase at iTunes, Amazon & CD Baby. 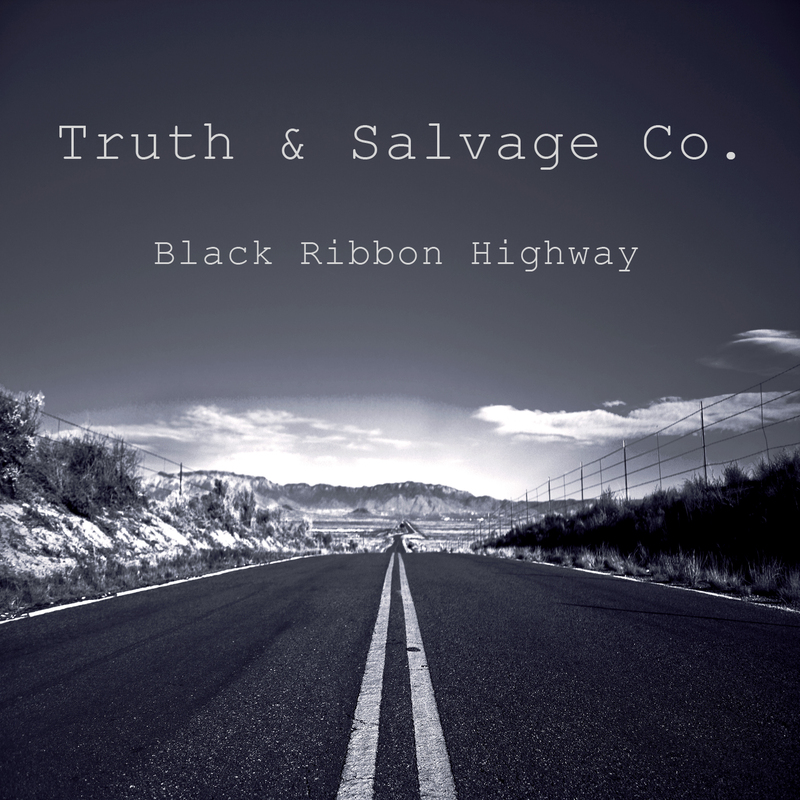 Truth & Salvage Co.’s new single “Black Ribbon Highway” officially hit the streets today, Tuesday, December 2, 2014. Co-written by guitarist/vocalist Scott Kinnebrew and his father Dr. Michael Kinnebrew last year, the song was inspired by the elder Kinnebrew’s adventures growing up in the Southwest. His time as a youth in the Fifties was split between oil prospecting with his “wildcatter” father across East Texas and being “schooled on the hard-working ranch of a crusty, homesteading, cowboy uncle,” as he describes it, on the plains of eastern New Mexico at the Reversed LK Bar Ranch. In the non-summer months, Dr. Kinnebrew drove all around the mammoth state of Texas with his “total rambler” of a father on never-ending backcountry pursuits of land leases that might or might not produce oil. Most often not. The summers at his uncle’s ranch, therefore, made up Michael’s favorite memories; he could spend his days playing, riding horses and simply being a kid instead of driving with his dad all around Texas sniffing out crude. “The circumstances of this song are so unique and tied to family that the band felt we’d best serve the song by offering it as a single now, during the holidays, rather than holding it until another record was ready,” says Scott Kinnebrew. The song is meant to “keep the fire burning with our fans while we’re off the road,” he continues, and in a small way to welcome to the world T&SCo’s first “band baby,” Smitty’s daughter with his wife Monti, Charlie Marie. The track is their first independent release since parting ways with the record label and management they’d been with since their 2008 inception. Plans to write, record and resume touring are set for the spring of 2015. Michael met up with Truth & Salvage Co. for two days at Electric Thunder Studio in the heart of Nashville’s “studio city” neighborhood, Berry Hill. ET’s Geoff Piller engineered and provided invaluable insight, while Scott Kinnebrew took his first-ever turn at producing. They spent a short time running over the tune and finalizing the arrangement, and then just dug in and went at it. Having toured extensively behind last year’s well-received, self-produced album Pick Me Up, Truth & Salvage Co.’s members find themselves “experiencing an enjoyable diaspora,” says Scott Kinnebrew, with drummer/vocalist Bill “Smitty” Smith taking time off in Lafayette, Louisiana, pianist/vocalist Walker Young living in Albuquerque, New Mexico, organist and keys player Adam Grace living in Tupelo, Mississippi, guitarist/vocalist Tim Jones and bassist Dean Moore holding down base camp in Nashville, and Kinnebrew hanging tough in the underbelly of Hollywood, where the band spent their initial phase. Coming together to produce “Black Ribbon Highway” for this interim period, however, was all it took to have the band itching to return to the studio next spring to record album No. 3. For more information and to stay up to date with Truth & Salvage Co., please visit www.truthandsalvageco.com, www.facebook.com/truthandsalvageco, www.twitter.com/truthandsalvage and www.youtube.com/user/truthandsalvageco. The Honeycutters, an Asheville, NC based original country roots band, has signed an exclusive recording contract with Organic Records®. The band led a successful Kickstarter campaign raising $31,317 to help fund their third studio album. 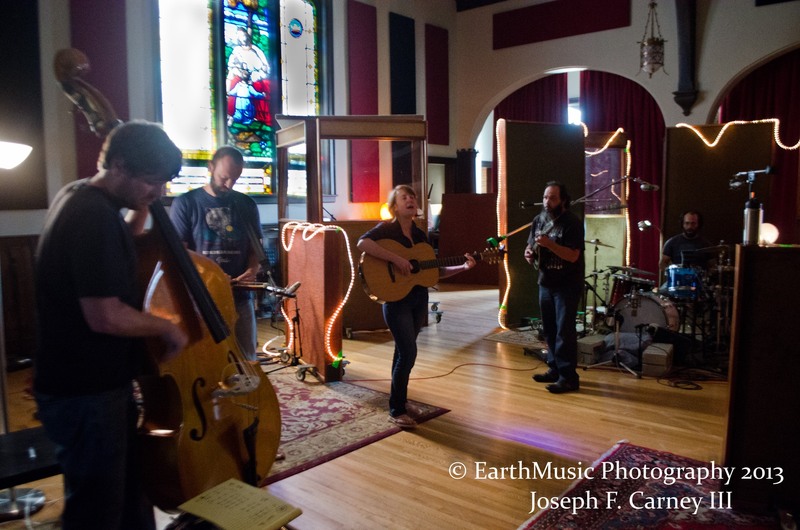 They have laid down the tracks in Echo Mountain Recording Studio in Asheville and are mastering it over at Crossroads Studios in Arden. The album is slated for release in the spring of 2015. Led by songwriter Amanda Anne Platt, The Honeycutters include Tal Taylor on mandolin, Rick Cooper on bass, Josh Milligan on drums, and Matt Smith rounding out Platt’s songs on pedal steel, electric guitar, and dobro to create a sound that carries just as well across the bar room as in a church or a theater. 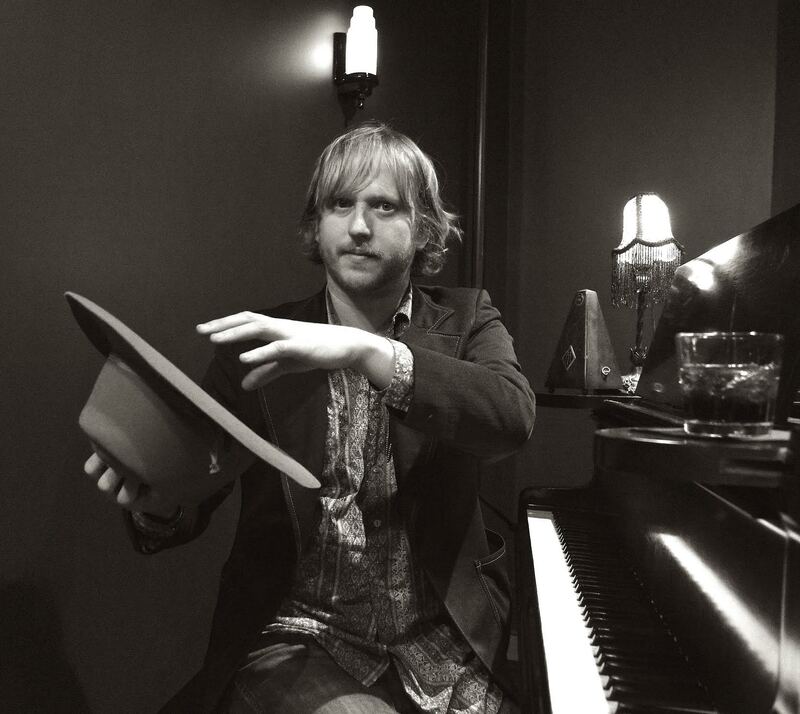 Platt’s songs are shaped by a raw honesty that comes straight from the heart and emits a sort of melancholy happiness. The band is frequently mentioned along with the movement to “Take country music back to it’s roots.” The Honeycutters are just doing what they know how to do: making music that feels as good to hear as it does to play. The soon-to-be-titled release is slated to drop in April with an album release party in Asheville along with a release tour to be announced. They are also scheduled to appear at MerleFest that same month. 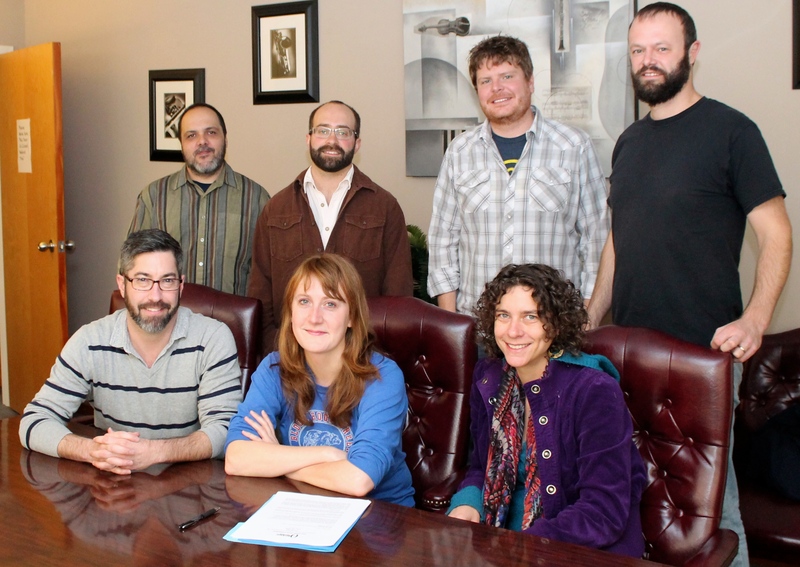 The Honeycutters formed in 2007 in Asheville, the town they still call home, and had quick success with their first release Irene (2009). That release and their sophomore effort When Bitter Met Sweet (2012) grew their audience to help expand their tours to include notable appearances at MerleFest, Suwannee Springfest, Strawberry Music Festival, Vancouver Island Music Fest, Vancouver Folk Music Festival, Shakori Hills GrassRoots Festival, Falcon Ridge Folk Fest and the Nelsonville Music Festival. 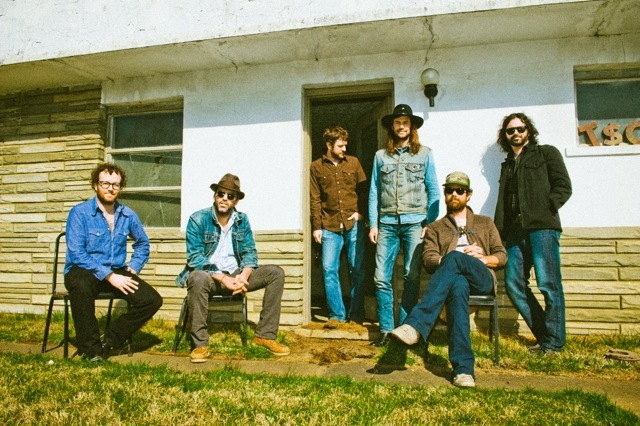 They have also performed alongside esteemed musicians Guy Clark, Tony Rice, The Seldom Scene, Billy Joe Shaver, Ray Wylie Hubbard, Amy Ray, Donna The Buffalo, Jill Andrews, and The Steep Canyon Rangers. Amanda Anne Platt has been hailed as “easily one of the best songwriters coming out of WNC these days” by WNCW programming director Martin Anderson, who goes on to state, “and she really needs to be discovered by the national Americana world.” In both her simple composition and honest delivery it’s easy to hear the influence of country legends such as Hank Williams, Patsy Cline, or Loretta Lynn, and with this Miss Platt credits growing up listening to her Father’s extensive record collection every Saturday morning. Despite her love for classic country, she cites Bruce Springsteen and Tom Petty as major influences and her songwriting carries a wit and an edge that plants her firmly in her generation. For a sampling of The Honeycutters’ previous releases and some live mixes, visit: http://noisetrade.com/thehoneycutters/noisetrade-mixtape. Organic Records® is an eclectic home for a variety of artists that are singularly unique and defy categorization. In a time when music is becoming less defined by genre, Organic artists are developing their own musical identity outside the confines of traditional classifications. Organic Records® is their natural habitat. Organic Records® is a division of Crossroads® Entertainment & Marketing and is located in Arden, North Carolina. More information can be found at www.organic-records.com.